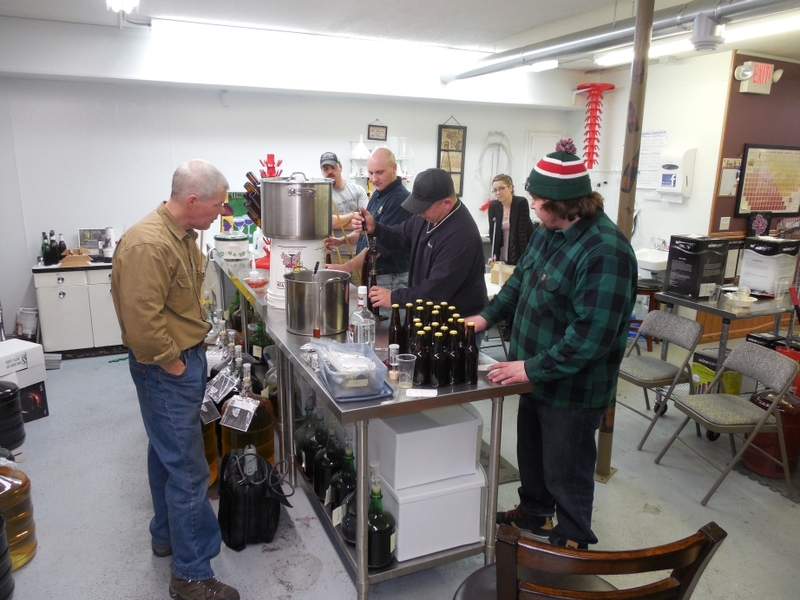 Advanced homebrewing classes will begin Monday, March 16th at Wine Creations in Grand Rapids. This is a four week class, which includes brewing four all-grain batches, bottling those and distributing them among the students to take home. The class will use all-grain ingredients and brewing techniques to focus on recipe design and understanding the methods needed to brew the kind of beers you like. We go over each component of beer, water, malt, hops and yeast. We discuss the characteristics of each, how they influence beer and how to get the most out of them. Students will decide what beers we brew. This class is late enough in the year that brewing with maple sap is an option. Since you can’t cover all the characteristics of beer just by talking about them, there will be a wide variety of samples in class. You must be 21 to take this course. We also cover growing your own hops, from rhizome selection to harvesting, drying and using. You’ll learn how to keg beer, how to use, manage and clean kegging equipment. The class is five hours per night, 4 nights. We’ll bottle during the last class, and we may extend when that class occurs depending on what you choose to brew – some beers take longer to ferment. The cost is $75 for all four nights. To reserve a spot, call Wine Creations at 326-9490. The instructors are Steve Benson and Chad Haatvedt, of the Boreal Brewers brew club. Taking this class qualifies you for one year of free membership in the club.